Can Bone Broth Heal Teeth Naturally? Over the past few years, countless superfood recipes have gone in and out of fashion. Yet one much less glamorous food rarely gets the attention it deserves: Bone Broth. Humans have been consuming bone broth for millennia. It’s a valuable source of crucial nutrients that are virtually impossible to find elsewhere. These include hyaluronic acid, glucosamines, collagen and various minerals. These all help to maintain healthy skin, teeth, hair, nails and joints. But a less talked about benefit is the ability of a well-cooked soup to heal teeth naturally. Let’s look at the properties of bone broth in a diet for dental health. Before the advent of industrial scale meat farming, less ‘fashionable’ animal parts were a big part of our diet. Bones and connective tissue were slowly boiled to release the wonderful nutrients they contained. 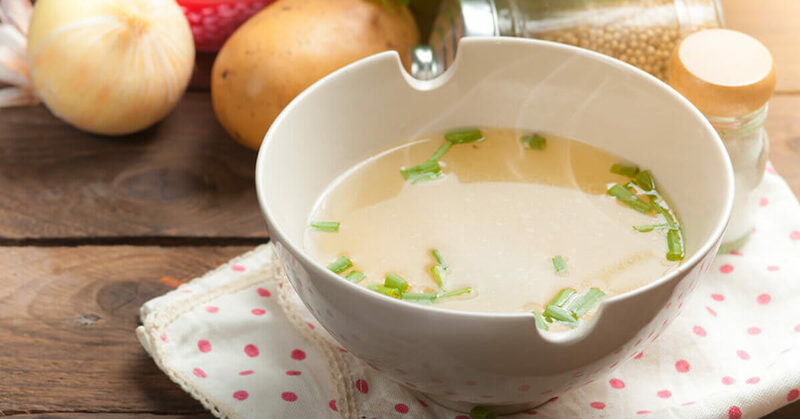 This nourishing broth was a staple part of our ancestors’ diet. Its nutrients were beneficial to their immune system, digestion, teeth, skin, hair, nails and joints. 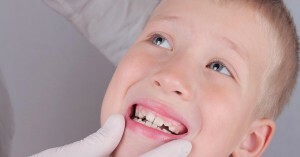 They helped to prevent tooth decay and gum disease naturally. 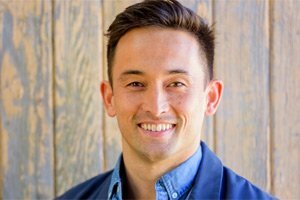 Unfortunately, modern trends and the wide availability of food has steered us away from bones and connective tissues. Now, we mainly eat muscle meat. However, our bodies still need those nutrients. Their scarcity in our diet shows most in our skin and prevalent tooth decay. 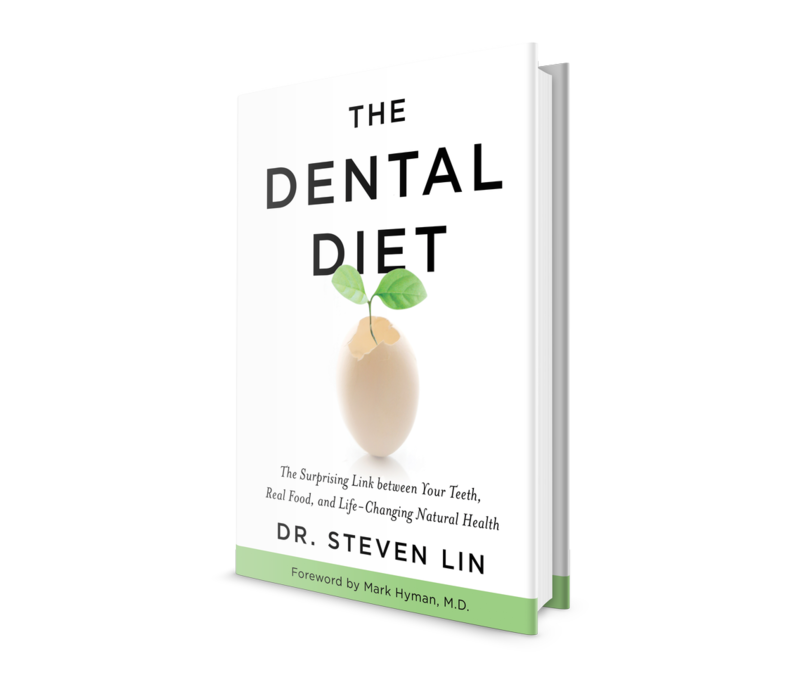 We need to start eating foods that are good for our teeth. These foods tend to be great for our hair, nails, skin and joints too. Bone broth ticks all the boxes – and can replace many expensive supplements. Bone broth contains collagen. 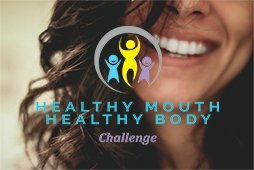 Researchers know that collagen is found both in our teeth and in the connective tissue that keeps our teeth in place in our jaw. In the tooth, collagen aids mineralization and stability. Collagen is also vital for improving your bone density, which is vital for healthy teeth. Your teeth usually sit securely in your jaw. However, factors such as age and a deficient diet can decrease your bone density. Your connective tissue can also dwindle. As your jaw and tissues shrink away from the teeth, your teeth can loosen. This makes them more prone to damage and decay – and more likely to fall out. One of the many benefits of Bone Broth lie in the glycosaminoglycans (GAGs for short) it contains. These GAGs, most notably glucosamine, chondroitin and hyaluronic acid, are utilized by the body as collagen. Collagen helps to maintain healthy joints and skin. Our bodies naturally produce collagen, but our levels decline with age. This accounts for the wrinkles and joint discomfort more common in older people. A lack of dietary collagen may also be linked to a rising number of joint and sports injuries. In recent years, recognition of GAGs’ benefits mean they’re often found in supplements for skin and joint health. Glucosamine is widely sold for joint health, by itself or alongside chondroitin. Collagen supplements brag of their anti-aging benefits, while hyaluronic acid is used in many anti-wrinkle creams. In fact, hyaluronic acid has recently been shows to improve transcellular water retention in the skin in clinical trials. This reduces the appearance of wrinkles and fine lines. If it can offer such benefits in a cream, imagine the benefits if it’s consumed? Bone broth also contains gelatin. A diet rich in gelatin has been shown to protect against the aging effects of sunlight – another boost for your skin! Bone broth provides a great bioavailable source of these nutrients. It’s also far cheaper than to expensive supplements and creams! GAGs aren’t bone broth’s only wonder ingredient. It’s also a mineral powerhouse, packed with calcium, magnesium, phosphorus and other trace minerals. These minerals strengthen structures and provide building blocks for new tissue. This makes your teeth, joints, skin, hair and nails stronger and healthier. Bone broth is also beneficial for digestion. It helps to restore a healthy mucosal lining in the gut and enhances gastric acid secretion. It also absorbs water into the digestive tract, aiding intestinal transit and healthy bowel movements. A gut microbiome is crucial for preventing toxins from being released into the bloodstream. It’s also essential for maintaining our immunity. Bone broth is also a stress buster. It’s rich in the amino acid glycine, a neurotransmitter that protects against stress and promotes healthy sleep. As you can see, we need to eat more foods that strengthen our teeth, joints, nails, hair and skin. Bone broth is an easy answer. It’s delicious, cheap to make, and healthy too. Wouldn’t you like to prevent tooth decay naturally and avoid gum disease? And who doesn’t want stronger joints and healthier teeth, nails, hair and skin? Stock up on bones from grass fed meat and free-range poultry. Pp them in your pressure cooker with water, herbs and fresh vegetables. This will make an incredibly delicious, nourishing broth. You can eat it by itself or use it in soups, stews or curries. It will keep for two weeks in the fridge, or up to three months when frozen. Qual o tempo de cozimento na panela de pressão? A pressure cooker will usually reduce the time to around 1-2 hours depending! I agree bone broth is amazing and I drink a cup every day! Absolutely Pauline, plenty of gum, joint, and ligament building amino acids. I experienced an injury to my maxilla and is causing my front toothe pain. Will bone broth help to build this bone that has fractured close to its original strength?